New Taiwanese carrier StarLux Airlines has signed a firm order 17 Airbus A350 family aircraft to deploy on new routes to Europe and North America as well as select Asia-Pacific destinations. 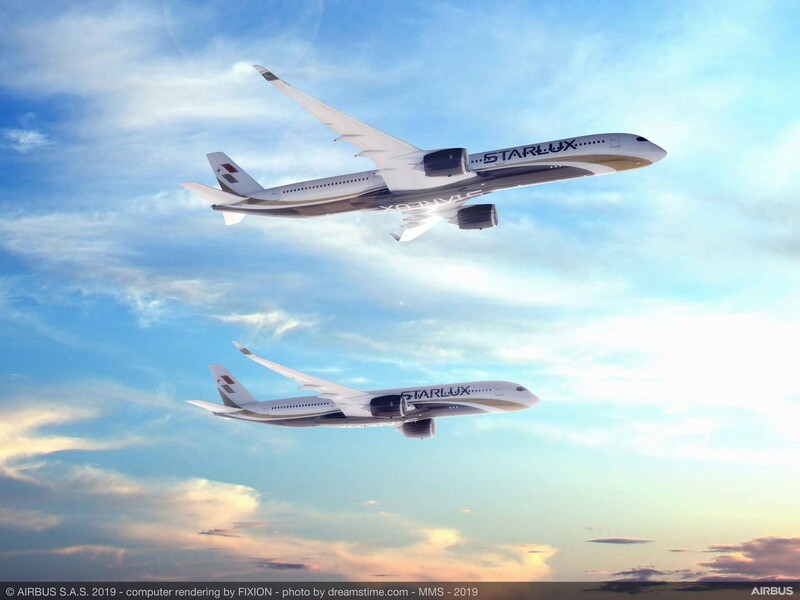 European manufacturer Airbus confirmed that StarLux had signed up for 12 A350-1000s and five A350-900s. StarLux and Airbus first signed a memorandum of understanding for the order at the 2018 Farnborough Airshow. The airline was originally slated to launch in 2018 but now says it will launch in early 2020. It expects to start taking delivery of 10 Airbus A321neos in October and says it will have three jets when it launches. READ Struggling Jet Airways continues to ground planes. It says pilot training has begun in Phoenix, Arizona, assessment of the first cabin crew ended earlier this month and ground crew recruitment should begin in May. Deliveries of the five A350-900s are due to begin in late 2021 with the bigger A350-1000s joining the fleet in the third quarter of 2022. The new carrier expects to have the 27 aircraft by 2024 and serve more than 20 destinations in Asia and North America. StarLux founder and chairman K.W. Chang said the airline had chosen the A350 for its long-range capability, significantly lower operating costs and high passenger comfort. Rolls-Royce said the new airline had also signed a contract for its TotalCare long-term services for the plane’s Trent XWB engines. The A350 family offers a range of up to 9,700 nm and its aerodynamic design and carbon construction combine with the fuel-efficient Rolls-Royce engines to give operators a 25 percent reduction in fuel burn and emissions. The confirmation of the StarLux order comes after Lufthansa Group earlier this month said it would take 20 additional Airbus A350-900 planes to be delivered between 2022 and 2027 to replace its four-engine aircraft. The deal involves the sale of six of its 14 A380 superjumbos back to Airbus with the planes leaving the fleet in 2022 and 2023. Lufthansa chief Carsten Spohr said that replacing four-engine planes with newer models was creating a sustainable foundation for the company’s future. “In addition to the cost-effectiveness of the A350 and B787, the significantly lower CO2 emissions of this new generation of long-haul aircraft was also a decisive factor in our investment decision,’’ he said. Previous articleStruggling Jet Airways continues to ground planes.